The project team presented their design concepts and engaged the audience in a interesting conversation at the Public Safety Center on April 4th. Were you unable to attend? No problem, click here to take a look at the presentation! The project team had a very engaging morning at the Andover Center for History and Culture! Were you unable to attend? No problem, click here to take a look at the presentation! 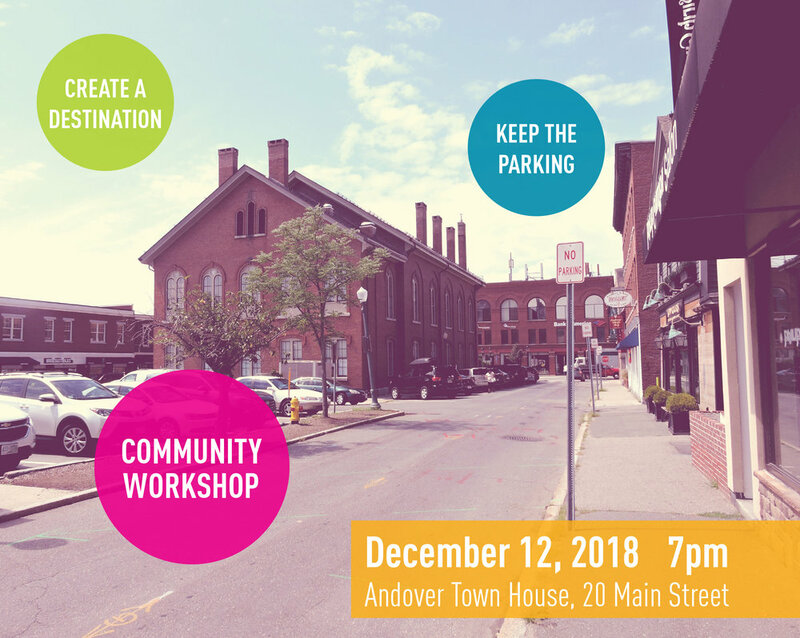 Did you miss the Community Workshop on December 12? No problem, click here to see the project team’s presentation! We had an interesting conversation with the abutting business and property owners. Click here to see the project team’s presentation!